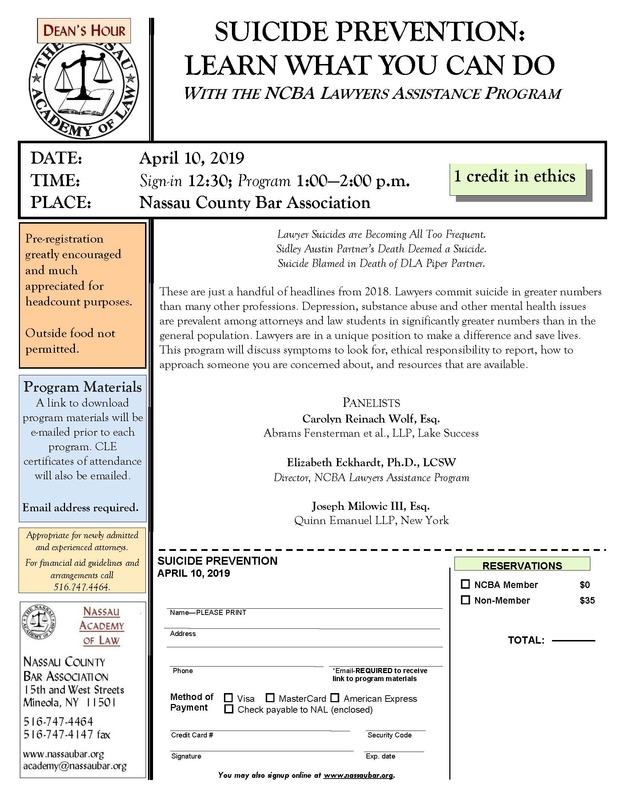 Nassau County Bar Association Lawyer Assistance Program (LAP) offers FREE, CONFIDENTIAL assistance under judiciary law to lawyers, judges, law students and their family members who are struggling with alcohol or drug use, gambling and other addictions, depression, anxiety and stress, and other mental health issues. LAP also provides assistance with law office closings. If you or a friend, colleague, partner or associate are struggling, please reach out. part of the Nassau Bar Foundation (NCBA’s charitable arm) and the NYS Unified Court System Office of Court Administration.